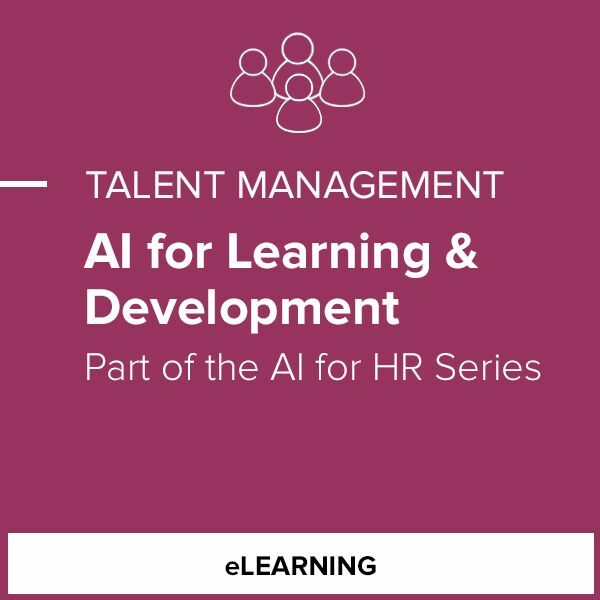 Learners will be introduced to the fundamentals of AI, examine how to use AI 4 HR, and learn a strategic framework for applying AI in HR at their organization. During the course, they will engagewith the video case studies to learn how AI is used to personalize learning, and reinforce learning, performance management, and coaching. This is done by viewing video case studies, reading the relevant articles, and participating in review quizzes. Video Case Studies from HR leaders at GE, Freeman, and TIAA.